If It's Hip, It's Here (Archives): Threadless Loves Sharpies - Design Competition! Got an eye for design? The new partnership “Threadless Loves Sharpies" challenges you to create a rad design based on 80's Glam and utilizing Sharpie's 80's GLAM Limited Edition Collection colors. 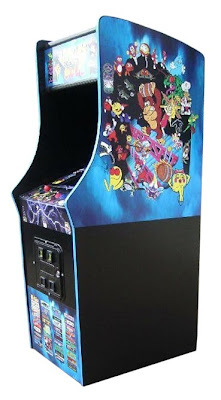 · An Arcade Classics Multicade Stand Up game! 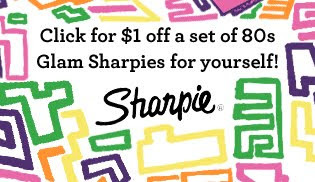 · $500 worth of Sharpie products! · A set of 50 Sharpies personalized by YOU! · $2,000 in cash from Threadless! * The design(s) to be printed will be chosen by the Judges within 45 days after the submission close date. * All submissions will also be eligible to be printed as a regular Threadless tee. * The submission must not be a design that has already been submitted to Threadless. * You may only submit up to three designs during the duration of the promotion. The selected design(s) will be chosen by a panel of Judges including Threadless staff and a representative from the promotion sponsor(s). Your design can be anything relating to the challenge, as long as it adheres to the submission guidelines, found on the Submit Your Design page. Though the 80's live on forever in our hearts, you only have until February 6 to get your designs submitted, so glam on it. 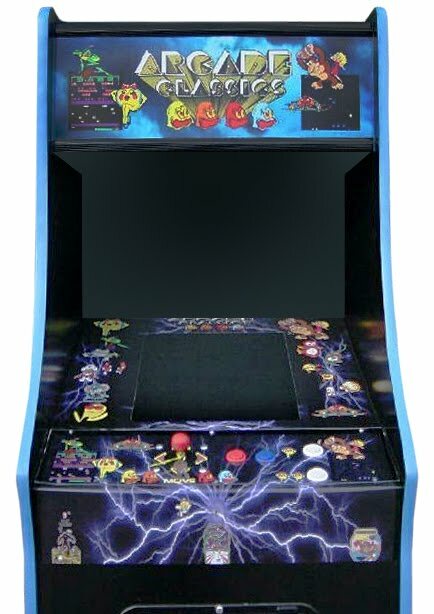 Pronto. 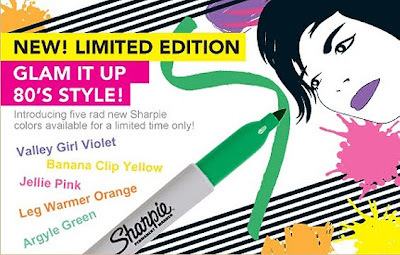 Sharpie's new 80's Glam Limited Edition Collection. Inspired by the most awesome era, Sharpie has created a collection to turn back time with 4 news colors - Argyle Green, Leg Warmer Orange, Jellie Pink, Banana Clip Yellow and Valley Girl Violet. As the ultimate advocate for self-expression, Sharpie enables you to "Uncap What's Inside" with its full range of permanent writing and marking products. From everyday pens to the dual duties of the Twin Tip permanent marker, Sharpie boldly marks over 45 years of innovation and inspiration. With Sharpie, creativity has no limits.